CIF hosts numerous activities that non-members of the University community are welcome to take part in! 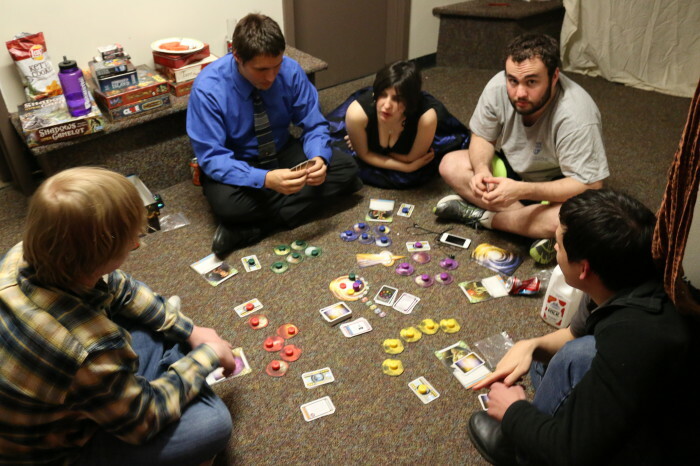 CIF hosts monthly game nights with plenty of board games, good food, and occasionally video games. They’re a great way to spend time with friends on floor and bond over a game of Catan (for better or for worse)! Game nights are open to the public and usually themed, so it’s fun to come out and see the decorations or occasionally dress up for them. It’s kind of like Pi Day, but we’ve incremented it to happen every year on April 14th. Pi++ Day is an event where you can throw pies at members of CIF or your friends. Don’t miss it! CIF also hosts activities that are only open to CIF members and alumni. It’s nothing against non-members! 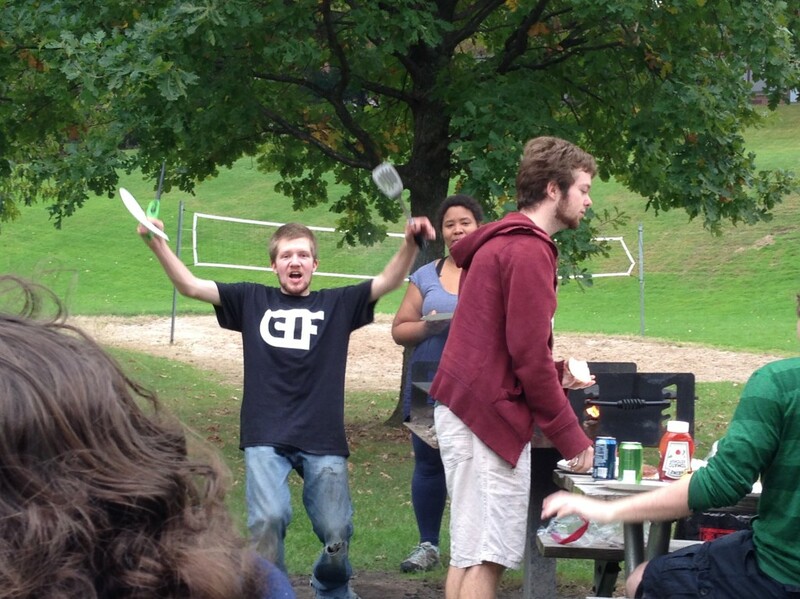 CIFnic is a semesterly picnic for members of CIF to get together and enjoy grilled food and fresh air. It’s also a great opportunity to meet CIF alums. CIFgiving is our annual Thanksgiving feast, where members come together to provide great food and have a good time before the break. 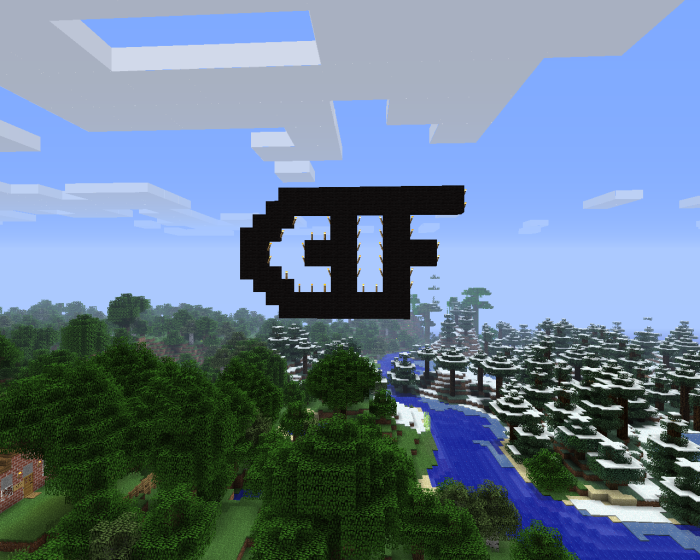 CIF has its own Minecraft server at hedrons.cif.rochester.edu and occasionally hosts special Minecraft events.